My vision for planting our fruit tree orchard was to eventually fill in the entire area with perennials to create a huge food forest. The first fall after planting the fruit trees, I dutifully planted daffodils in a circle around the trunk and mulched with wood chips, planning a fruit tree guild for each fruit. Soon, I realized this plan was not going to work. Why? Free-range chickens. The chickens (and ducks) gobbled up daffodils, scratched wood chips everywhere, and generally made a big old mess. 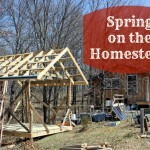 We decided to fence out the poultry, which worked well, so with new excitement, I planted a few more bulbs, shoveled some more wood chips, and selected a few trees under which to plant perennials and herbs. This year we decided we had had enough of chicken poop on the porch, and created a very large moveable chicken run with electric poultry netting. Though I do miss the pitter patter of pecking poultry, it is so nice to have a poop-free yard (well, until we grazed the cows on the lawn, but that’s another story). And I’m confidently moving forward with planning those fruit tree guilds. Guilds are communities of plants that form a self-sufficient system, with each plant having multiple functions and performing a unique role in the ecosystem that benefits the surrounding plants. Usually, guilds are set up around a central fruit or nut tree, with understory bushes, perennials, and ground covers planted to complement the central tree and enhance its health and productivity. 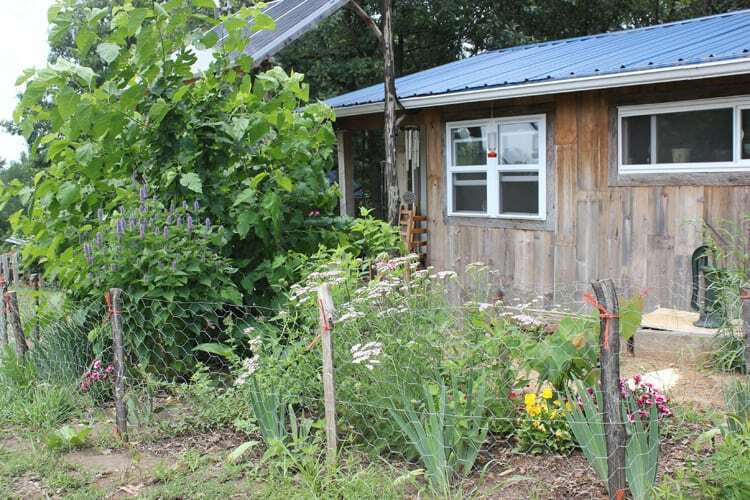 Guilds are a fundamental technique of permaculture plantings. What are the Benefits of a Fruit Tree Guild? My next fruit tree guild will be around my Arkansas Black apple tree. 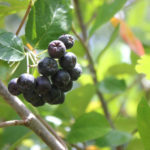 The Arkansas Black is a late-maturing storage apple tree that will grow to about 15 feet tall. My Arkansas Black is currently planted with a few spring-blooming bulbs, but in order to round out the guild I need to add some pollinator attractors, pest repellants, mulch plants, nutrient accumulators, and nitrogen fixers. And they must be plants that I already have on hand because I do not have a budget for this project. Luckily, I have quite a few of appropriate perennials on hand with sufficient quantities to divide (Indicated with an asterisk on the list below). Nitrogen fixing plants are the only ones for which I do not have a firm plan at this point. Any leguminous plant would be a fine choice – clover, vetch, peas, or beans – so I need to just see what I can source locally from friends. So how exactly do you plan a fruit tree guild? I’m going to share a step-by-step approach, adapted (with permission) from Amy Stross’s new book The Suburban Micro-Farm. 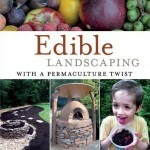 If you haven’t yet read The Suburban Micro-Farm, do check it out. 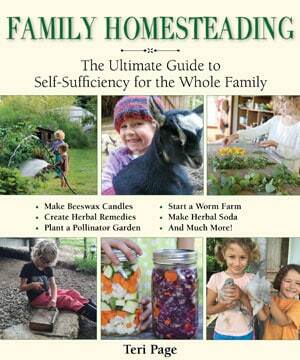 This is a fabulous book that demonstrates that you don’t need a lot of land to grow food for your family and that your yard can be both productive and beautiful. 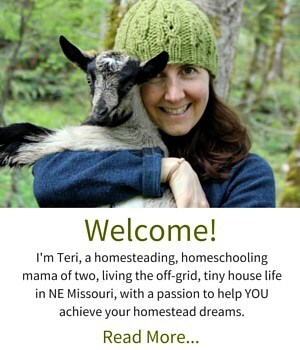 Amy digs deep into restorative gardening techniques such as permaculture, showing how to develop healthy soils and plan and plant edible landscapes and food forests. Start by selecting your fruit tree to be appropriate to your region and space and sun requirements. Next, plant your fruit tree, making sure to leave enough space for the tree to reach maturity. Next, measure a circle around the fruit tree to the expected width at maturity. For instance, my apple tree is expected to grow 15 feet tall and 15 feet wide. So I would need a circle with a diameter of 15 feet. Because the roots of the fruit tree will extend to this point, we want to really focus our efforts on enhancing the soil within the circle. Layer cardboard under the tree, thoroughly covering any grass, and moisten the cardboard as you go. Cover the cardboard with compost or soil about 3-12 inches deep. Allow this to decompose and rest for 3 months or so before planting. Plant your understory selections, watering them well, and tending to them throughout the season. Planning a fruit tree guild takes a bit of advance planning, but the long-term benefits to your food forest will be well worth the effort. 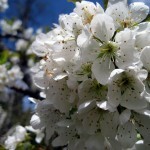 Not only will you enhance the health of your orchard, but you will develop a diverse and gorgeous landscape. I’m inspired. I have yet to attempt a guild, mostly because there seemed to be such a science behind it. But you broke it down beautifully and make it seem doable by using your own personal examples. Who knew I could use plants that I already have?! Putting in a plug for Amy as well. Very knowledgeable. Thanks Teri! I’m so glad it was helpful, Karen. I agree that the guilds can seem daunting, but the basic gist is to create a diversified ecosystem. And yes, definitely use plants you already have on hand!! If I have a full understory of plants, how can I gain access to the fruit on the tree? 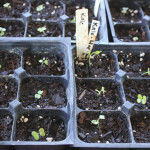 I have already planted mayhaw, pear, plum, loquat, grapefruit, and fig. Zone 8. That is the one disadvantage I see of the fruit guilds, Patricia. I would suggest leaving a few radiating paths, so just planting fewer understory plants and also perhaps getting a fruit picker on a long pole. Ultimately, some plants, like yarrow and thyme, will do just fine if they are stepped on occasionally, and I think the overall benefits outweigh the challenge of having to walk around perennial plantings. I’m curious. Why would you plant bulbs at the base if they tie up nutrients in the spring? The idea would be that the nutrients stay in the upper levels of the soil to be used by the plants, rather than washing away with the spring rains.